Time to tackle this outdated bathroom… Ahhhhh so much PINK! And look at that WALLPAPER!!! Eeekkk! These tiles are actually plastic tiles...the same tile that was used in the kitchen but just a different color. Have to point out these original white porcelain handles... HOT, COLD, and WASTE. Hmm...hopefully I can salvage these. It adds character to the bathroom. So again, just used a small crowbar and a flathead screwdriver to pop these tiles right off. Took me less than an hour. And you can see, I'm slowly stripping the wallpaper, one of the last rooms in the house. Learn more about wallpaper removal here. 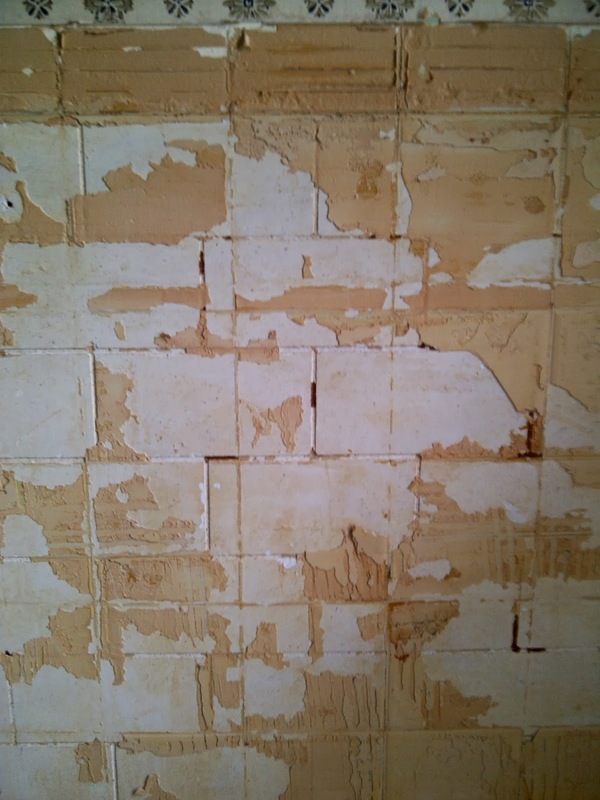 Hmmm…interesting that the plaster walls from the 1930's has the same pattern that is popular today (subway tile). 9 comments on "TILE REMOVAL"
Calculate you're worth, keep a track on how much time you spend or should be spending on cleaning then way up the benefits of hiring a cleaner Can You Steam Mop Hardwood Floors?